It’s August and while the winter months are coming to an end, this week’s cold temperatures are making us feel like winter is going to stick around for a while yet. For a lot of us, August can be a time where we get struck down by the winter blues. Are you suffering from the winter blues? Don’t worry, we might just have the purrscription for you! We have a number of adult cats looking for a brand new home this winter. Many of these super smoochy cats have been waiting throughout winter for their ideal companion to come along. Could you be their purrfect match? Two year-old domestic short haired cross Spark needs a bit of time to get to know you before his real personality shines through. However, once he is relaxed and comfortable, this handsome gentleman’s affectionate, playful and smoochy nature really comes out. Looking for his purrfect match for 90 days, this little man would be a great match for someone who is willing to give him the space, time and TLC he needs to adjust to his new home. 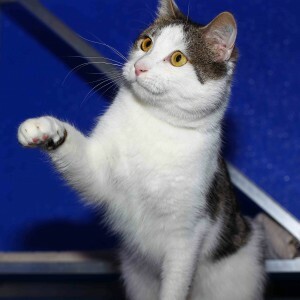 He would suit a home where his new companions enjoy active, gruelling playtime sessions as much as he does. 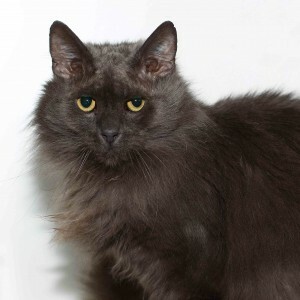 Adventurous two year-old domestic medium haired cross Larry has no problem spending time on his own exploring new locations. After his adventures, Larry is happy spending time curled up on the couch getting leisurely scratches under the chin. Waiting for his opportunity to go to a new home for 58 days, Larry would be a great companion someone looking for a cat who is just as happy spending time doing their own thing as well as cuddling on the couch. Shy and affectionate Piglet is perfectly happy passing the day away getting cuddles from his nearest and dearest. 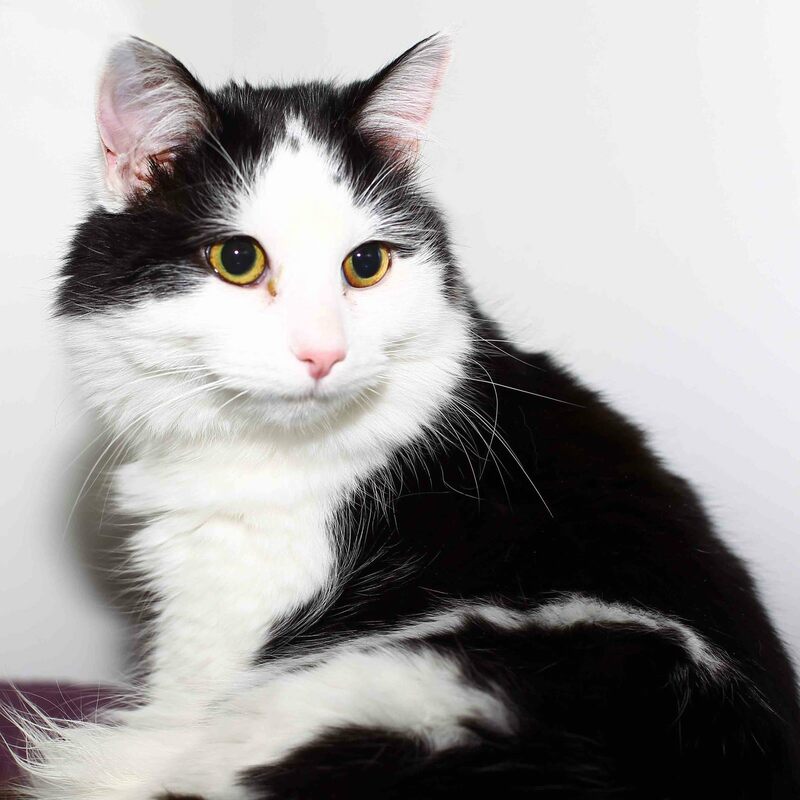 An ideal loving companion for those who enjoy the quiet life, Piglet is a very affectionate little cat who is happy to be fawned over by anyone who wants to spend some time with him. This four year-old domestic long-haired cross has been patiently waiting for his new family for 58 days. Piglet is the purrfect couch companion to pass away the remaining cold winter days.